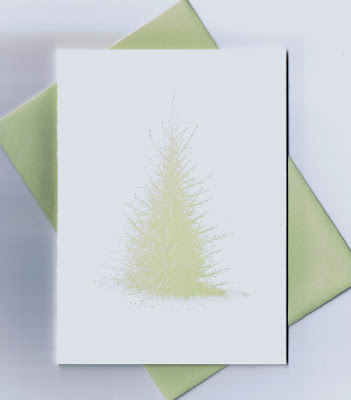 My pine tree card is today's feature on EtsyGreetings' Blog (http://etsygreetings.blogspot.com). Check it out! 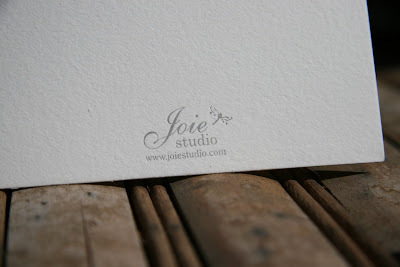 Joie Studio at Craft Fairs in Southern California! I'll have my entire holiday collection available at the fairs and will also be able to take lots of special orders at the Anaheim Ballet show, and maybe even some at Handmade for the Holidays if time permits! Come by and say hi! 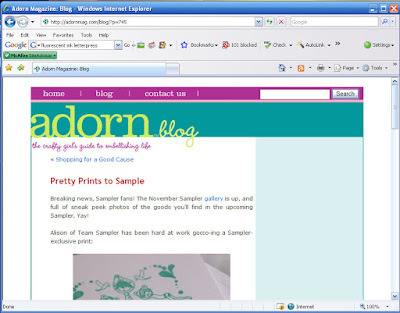 I love meeting people who read the blog! 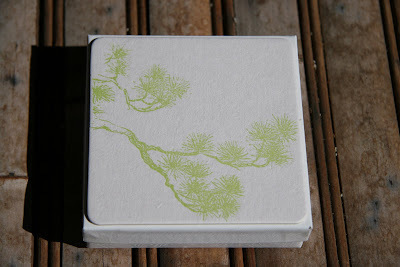 Zen Coasters Listed on Etsy! 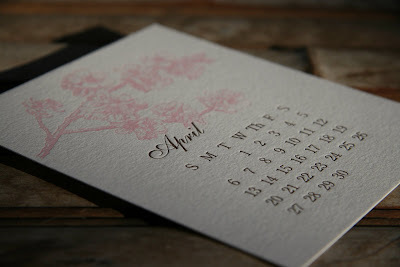 I just finished these letterpress coasters and have them listed on Etsy! These came out beautifully, and it's one of my favorite coasters I've made! 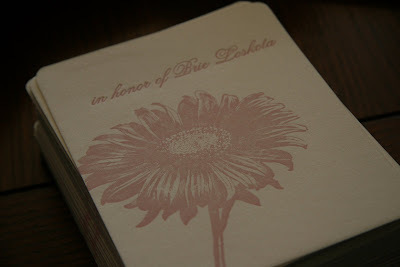 The coasters are ultra thick, 4" squares with rounded edges, and letterpressed with waterproof ink. I've priced them at $10 for a set of 8. They are set in a box that's perfect for gift giving! I currently only have 20 sets, so if you like them, get yours today! 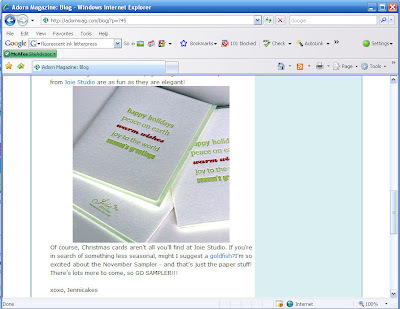 For this particular item, I am offering free shipping to all my blog readers. Just email me at shop@joiestudio.com if you want a coaster set with your name, email address, and shipping address and I will send you a Paypal invoice. 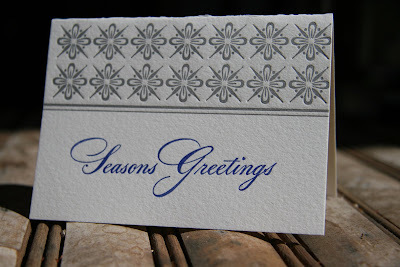 Another Letterpress Holiday Card Done! 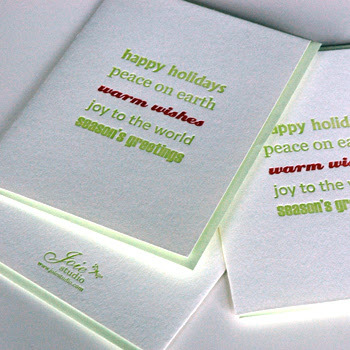 Another letterpress holiday card is done! Well, almost done. 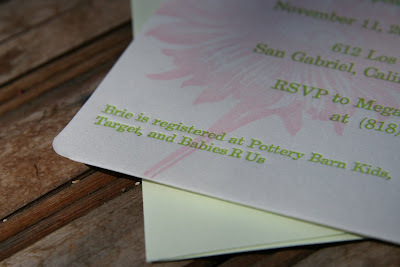 I'm waiting for the matching envelopes (silver!) to come in and I still need to score the cards. 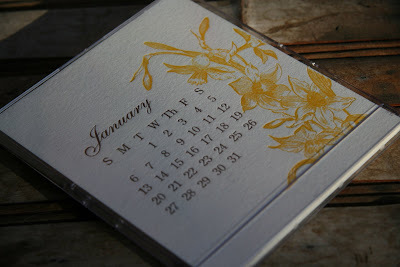 I love the metallic silver in this; it reflects light ever so slightly. 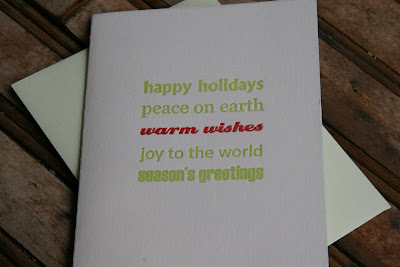 This is my second card that's done (YAY!). 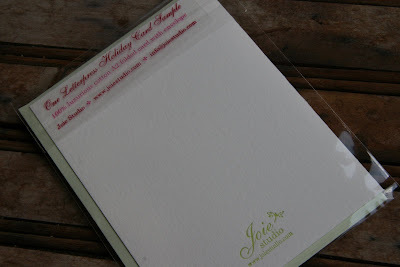 I am debating doing another run of this card in different colors, because I love the design of it so much. 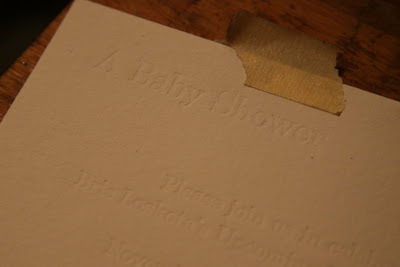 Baby Shower Invitations In Progress! 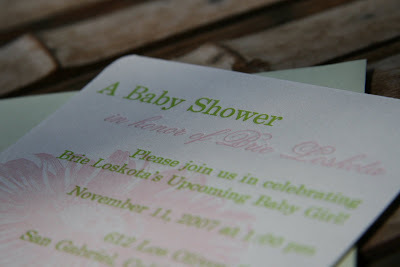 Tomorrow in daylight, I'm going to finish up these invitations, printing the text in a lovely green color. Here's hoping it turns out well! 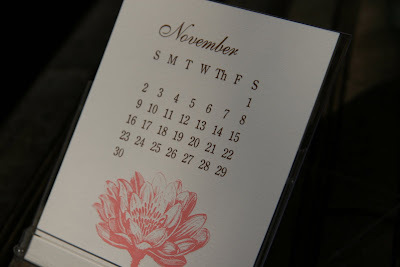 I am making up promotional items in between holiday card runs. Here's one promo item, a bookmark. I'm making up 200 of a couple designs. 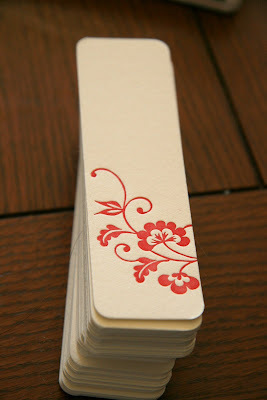 I love the way the rounded corners gives the bookmark such a great finished look. Friends that know me know that I am notorious for spilling things on myself, so it's no shocker than whenever I work with ink, I tend to get it all over my hands, arms, and sometimes, to my great dismay, my clothes. 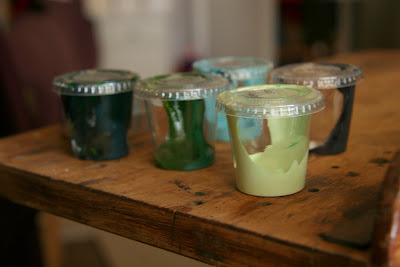 So this past weekend, I decided just to get my hands dirty only once and mix all the different greens and blues that I will be using in the coming weeks. 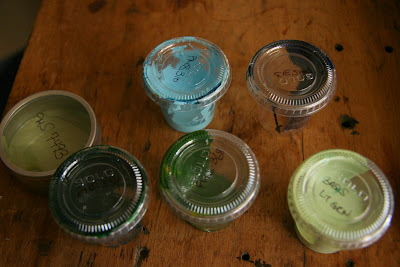 These are (hopefully) all the greens and blues I will need to mix to finish my holiday collection. 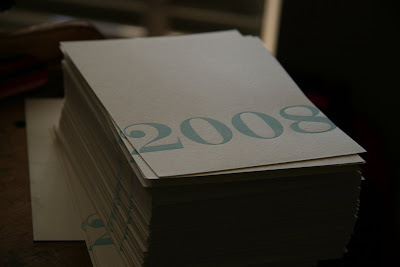 All these greens and blues were mixed using opaque white, Pantone yellow, Pantone green, and process blue. I used the light blue today and it came out so beautifully I had to share. 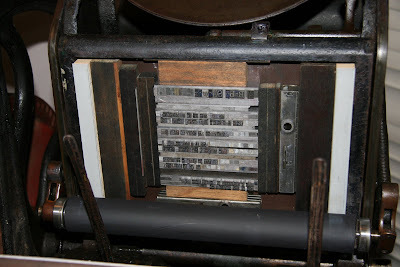 If you notice on the press, I'm using two roller bearers on either side of the form to keep the rollers at type-high. The roller bearers are type-high and serve to prevent roller slurs by keeping the rollers type-high before it hits the form. 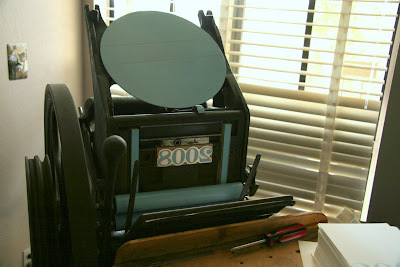 This saves majorly on the pains and sorrows of taping the rails to get the rollers type-high. I still need to mix my pinks and purples (I am using A LOT of colors) as well as a peach color. But I just needed to share this beautiful blue! 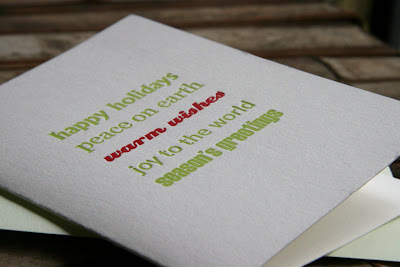 Holiday Letterpress Card Listed on Etsy! 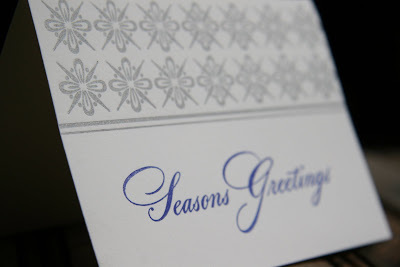 So thanks to the great feedback I received on my first letterpress holiday card, I decided to go ahead and list them as is on Etsy! 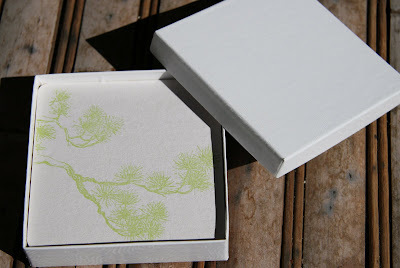 I paired the cards with sage envelopes and packaged them in sets of 4. 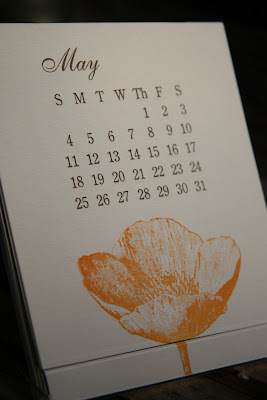 These cards are priced at $8 for 1 set of 4 cards and envelopes, $15 for two sets (8 cards and envelopes), and $20 for 3 sets (12 cards and envelopes). Applicable taxes and shipping not included. 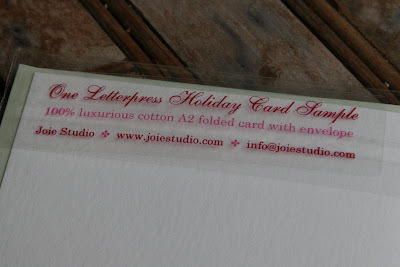 You can also email me (joiestudio[at]gmail.com) with your name, email address, shipping address, and how many sets you would like, and I can send you an invoice. 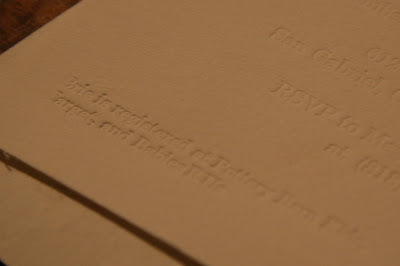 The Zen letterpress cards are in queue to be sold on Etsy as well -- I'm waiting for the envelopes to come in. Brewery Artwalk This Saturday & Sunday! The Brewery Artwalk is this weekend - October 6th and 7th! My friend Michelle will be showcasing some of her riveting photography (check out http://www.afootephotography.com) at the Artwalk, so hopefully you'll get to attend and see her photography!